One-to-one experience, behind the scenes with our Elephant Keepers to find out how our African elephants receive the best care possible. 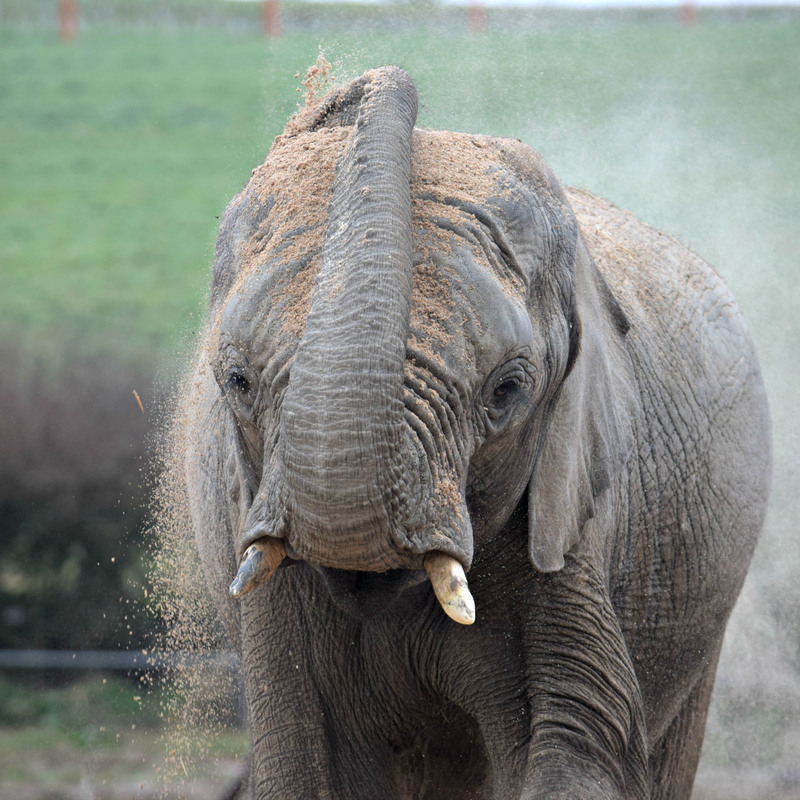 Our Elephant Keeper experience souvenir pack includes free day entry to Zoo for the participant(s), a personalised certificate of achievement and a complimentary T-shirt to remember your experience. This experience would be the perfect gift for a friend or relative, or even just a treat for yourself. Are you ready for an exciting and exclusive day out? Don't forget your camera! *Due to popularity Saturdays for our Elephant Experiences are booked up several months in advance. If you're interested in a date in 2019 please give us a call in the office. We do not allow guests for this experience and all participants must take part in the full keeper experience. Elephant Eden at Noah's Ark operates a Protected Contact management system. All activities are done through a protective barrier. There will be no physical contact and you will not be in the same enclosed area as the elephants at any time during the experience. Please call our bookings team on 01275 852606 if you have any questions or additional needs. Prices include full day admission to the zoo for participant(s).